Keeping your laundromat’s dryers clean accomplishes several things at once. First, it ensures that every load of laundry comes out fresh, clean, and dry. Second, it will improve your dryers’ efficiency and may lengthen the lifespan of each unit. But most importantly, it will prevent the buildup of lint and residue, which can cause mechanical issues and presents a fire hazard. So if you own or manage a laundromat, don’t underestimate the importance of maintenance when it comes to tackling laundromat lint. Not only will it protect your investments, but also your customers will appreciate it. Clean the lint filter very frequently. Simply scrape the lint off the mesh screen and into the trash with your hand; it should come off very easily. 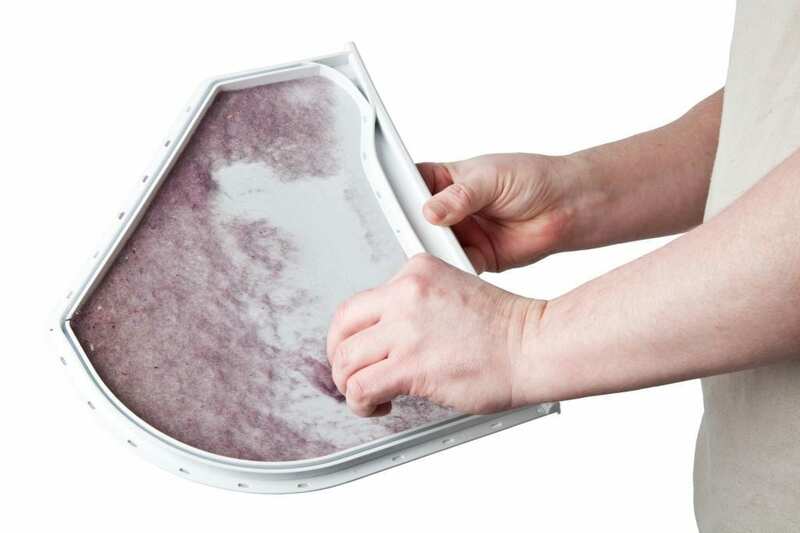 In an ideal world, an employee or the customer would quickly clean out a dryer’s lint filter after (or before) every use. This isn’t always feasible in a busy laundromat, but why not strive for success regardless of that fact? Instruct your employees to clean out lint filters after every use of the machine, and hang signs up for customers reminding them why it’s important to clean out the lint filter. Conduct more extensive cleanings periodically. The dryer feels warmer than usual. The entire laundromat feels warmer than usual. Dried clothes are covered in lint. The dryer vent hood doesn’t open. The dryer vent hood has debris and lint built up around it. Scrape the lint off the filter as you would during a quick cleaning. Wash the screen in warm, soapy water to remove build-up. Vacuum the area around the filter. Clean out the dryer vent by detaching the vent and vacuuming it out. Use an extendable brush to dislodge trapped lint. Open the dryer from the top or side and vacuum the area between the drum and housing. Keep a record of lint filter cleanings. To ensure that the lint filters are being cleaned on a regular basis, keep a record that your employees can fill out and initial. Add this chore to your scheduled list of maintenance duties as well so that it isn’t forgotten. Check your washers’ lint filters as well, if they have them. Did you know that some washers also have lint filters? Find out if yours do, and if the answer is yes, be sure to clean out your washers’ lint filters as well to ensure the machines run efficiently. The Consumer Product Safety Commission estimates that 15,500 clothes dryer fires occur each year in the United States, causing an average of 10 deaths and over $81 million in property damages (source). Don’t let one of those fires occur in your laundromat. Be vigilant when it comes to laundromat lint by regularly cleaning your dryers and instructing your employees to do the same. If you need any help updating or maintaining your laundromat, check out Laundry Solutions Company, a full-service provider of premium vended, on-premises, and multi-housing commercial laundry equipment. Our leasing program provides no mileage fees, no service fees, and no parts fees. You will be able to use high-quality Speed Queen equipment while enjoying a flexible lease and predictable payments. To learn more about our products and services, please give us a call at 800-838-9274 or contact us online. We look forward to hearing from you!